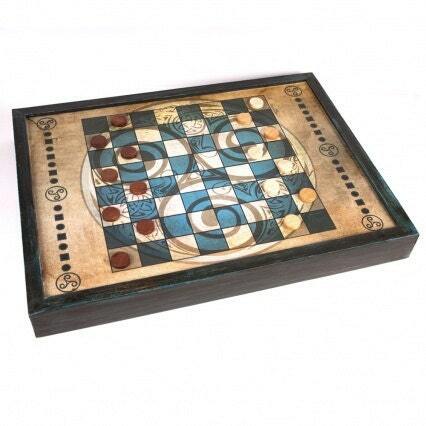 The classic game of Checkers in the most ancient and original version which has an 8x8 grid board and 12 checkers for each player. 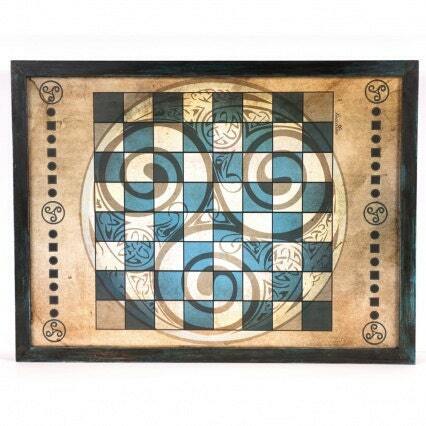 This board game is handmade in wood and decoupage with a celtic inspiration design. It has a rear storage system to store the checkers and instructions. 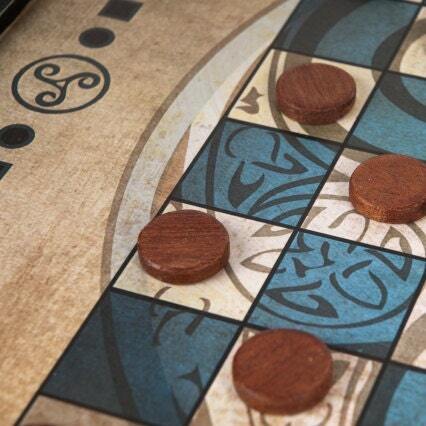 The 24 checkers are also handmade in wood.